I don't know what to call it, but I make and drink it every day. 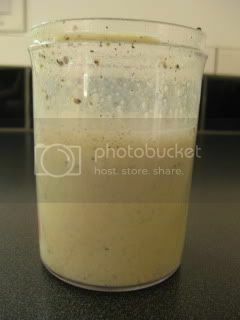 I feel this drink is helping my healthy body and skin. 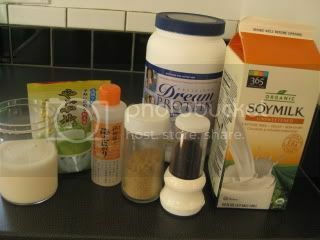 I never measure...but it's about 1C soymilk (unsweetened), 1/2 scoop protein powder, some kinako (Japanese roasted soy powder), some ground black sesame seeds, some powdered green tea (it's powdered "sencha", which has more health benefits than matcha powder), some drops of nigari (extracted sea water). I just put them in a container and shake briskly. 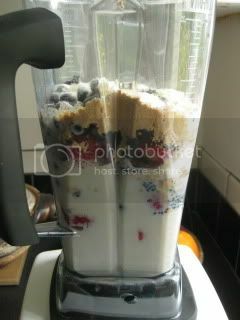 I also often mix them with fruits in VitaMix. It tastes so good and I consider it as a "reward" after jogging and some workout in the morning. When I'm jogging, I tell myself, "once it's over, I can drink it!" 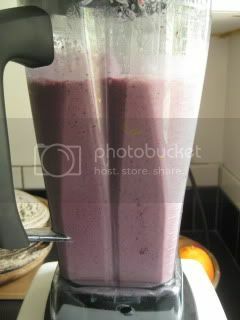 Here's "The Works" version, with fresh strawberries and frozen blueberries (so the drink comes out cold). 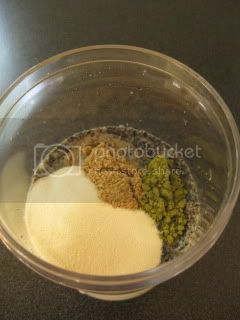 VitaMix is great as it makes them into very smooth drink (it even grinds sesame seeds finely). After drinking it, I felt like a winner!